Need to buy a gift for a man in your life? 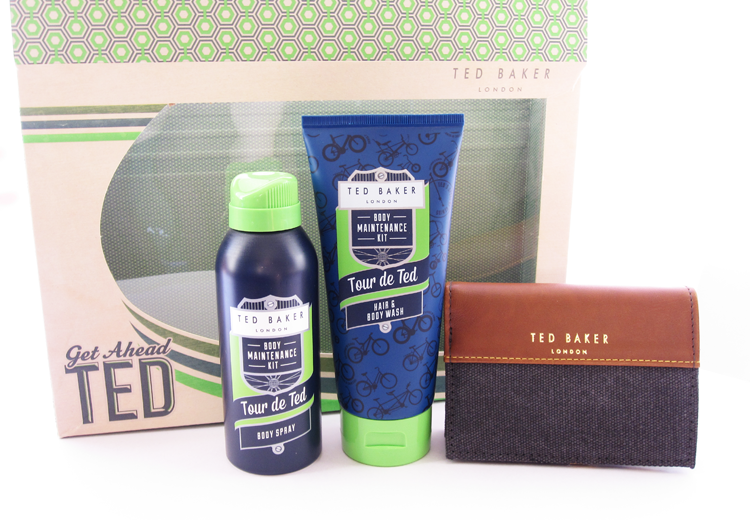 Ted Baker's Get Ahead Ted Gift Set offers up a practical lifestyle package for less than £20. - 150ml Ted Baker Body Spray with the fresh and sporty bespoke fragrance of Bergamot, Sandalwood, Musk and Cedarwood. - 200ml Ted Baker Hair & Body Wash, with the matching bespoke fragrance. - Full size canvas and faux leather Ted Baker branded wallet - great quality and lots of room for all of his cards and cash. This is one of those gift sets that just gets the job done and certainly kills two birds with one stone if someone has asked for a new wallet for Christmas!